Ideal for use with any neck pickup especially on guitars with bright to semi-warm woods. You no longer need a 7- or 8-string guitar to get the punch-you-in-the-chest ruthlessness of the Nazg»l or the enhanced dynamics and string separation of the Pegasus. As of today, these pickups are now shipping to stores in 6-string versions. The Nazg»l was developed for extreme metal players who required a massive and aggressive tone that still maintained plenty of articulation. The Pegasus was developed for prog and modern metal players who needed plenty of aggression but required enhanced dynamics, more harmonic richness and defined string separation so individual notes don™t get lost in the mix. The perfect compliment to both these pickups is the Sentient neck pickup which is also now available in a 6-string version. It' voiced to capture a blend of vintage PAF and modern tones with enough output to deliver harmonically rich distorted lead tones but subtle enough to give you deep, detailed cleans. Think of it as combining the best qualities of the ™59 Model and the Jazz: clarity, detail, depth, attack and expression. 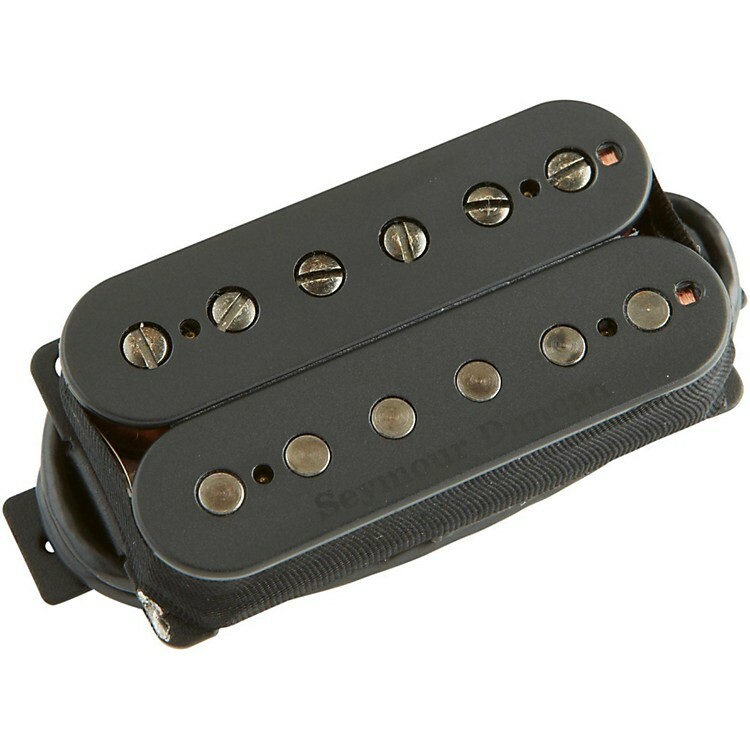 Each pickup is handwound in the Seymour Duncan factory in Santa Barbara, California with a black bobbin, black screws and a black logo. Beef up your tone with this special pickup.